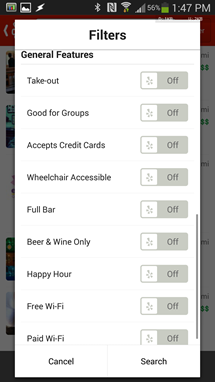 The new app boasts filters for Hot & New, Offering a deal, take-out, good for kids, good for groups, takes reservations, takes credit cards, wheelchair access, full bar or beer & wine only, outdoor seating, happy hour, TV, and free or paid Wi-Fi. And that's just for restaurants - the filters are dynamic, and the options you see will depend on just what it is you're searching for. 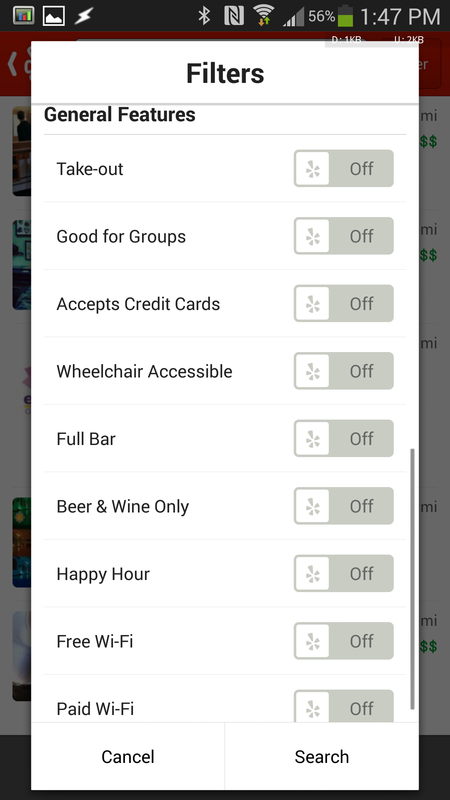 Unfortunately, most of the new filters are only going to be available in major metro areas for the time being - it seems like Yelp is limiting their availability either based on region or some sort of algorithm. This does make sense, as outside of densely populated cities with many businesses, it's unlikely all the restaurants in, for example, a smaller suburb will have gone in and filled the field for "TV" on their business page. 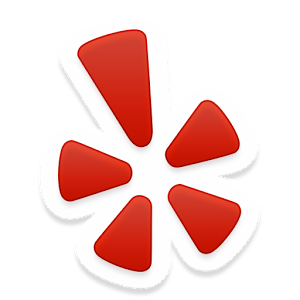 Yelp's filter results are exclusive rather than inclusive, too, so allowing the filters to be used in any region might not make sense, and exclude many valid businesses from results merely because they failed to fill out a piece of information. 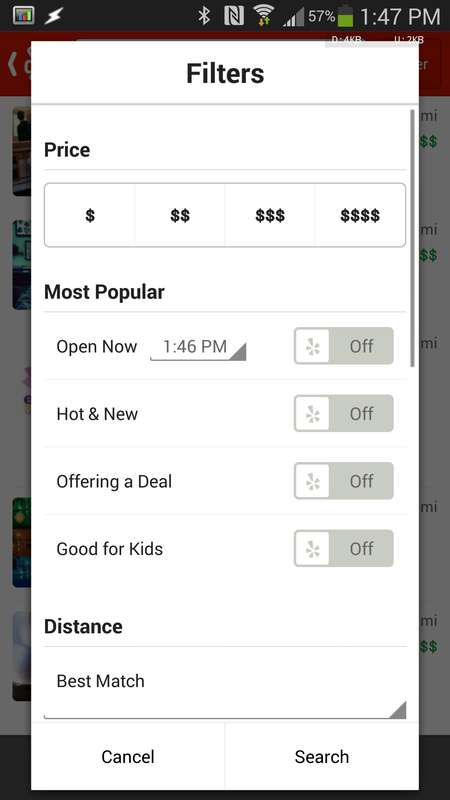 The update also makes searching reviews a bit easier, by automatically creating a search bar at the top of the screen when you hit "More Reviews." Hit up the Play Store to get the update now.